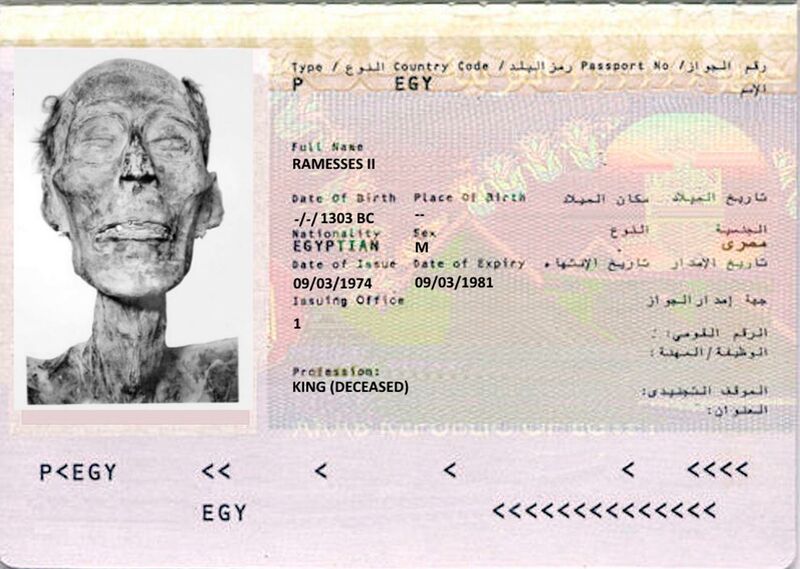 In 1974, the Mummy of Pharaoh Ramesses II Was Issued a Valid Egyptian Passport So That He Could Fly to Paris! Ramesses II is often called one the greatest pharaohs of ancient Egypt. He reigned for over 60 years and accomplished much during his lifetime. His achievements were not matched by the pharaohs who preceded or succeeded him. Even after death, Ramesses II continued to be unique. 3000 years after Ramesses II died he became the only mummy with a passport issued by a modern government. Like many of the New Kingdom pharaohs, Ramesses II was buried in the Valley of the Kings, on the west bank of the Nile, across from Thebes. Initially, the pharaoh was buried in the tomb now designated as KV7. Sometime later, however, the mummy of the pharaoh was transferred by Egyptian priests to the mummy cache of Deir el-Bahri, where it remained until its discovery in 1881. The mummy of Ramesses II was placed in the Egyptian Museum in Cairo in 1885. 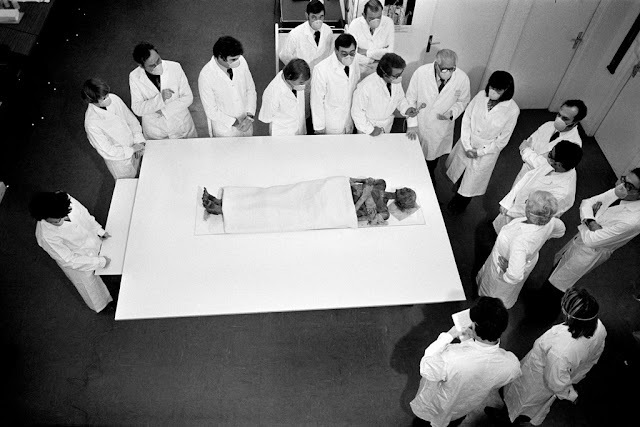 In 1974, Egyptologists working for the museum realized that the pharaoh’s mummy was deteriorating at an alarming rate, and decided to have it sent to France for an examination. Apparently, under Egyptian law, even dead individuals are required to have the proper documents before they are allowed to leave the country. It has also been claimed that with these documents would provide the pharaoh with the legal protection required to ensure his safe return to the country. It may have been feared that once in France, the mummy of the pharaoh would not be allowed to leave. In any case, Ramesses II was issued a passport by the Egyptian government, and was the first (and probably the last) mummy to receive one. 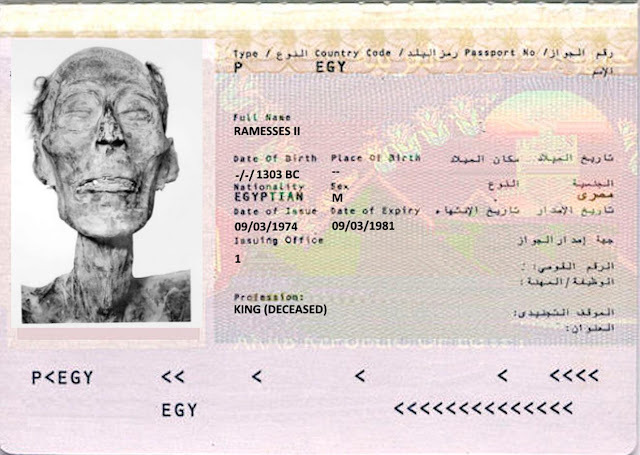 Apart from having a photo of Ramesses II’s face, the passport is also notable for listing the occupation of the ancient Egyptian pharaoh as ‘King (deceased)’. 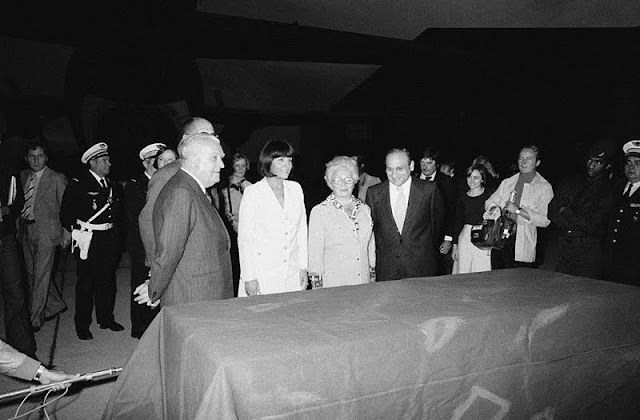 The mummy of Ramesses II left Egypt in 1976, and when it arrived in France, it was received at the Paris–Le Bourget Airport with the full military honors befitting a king. The mummy was then transported to the Paris Ethnological Museum, where it was examined. 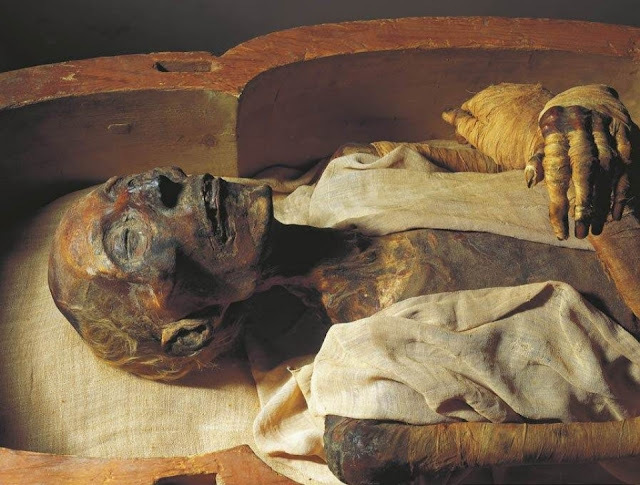 The researchers discovered that the deterioration of the mummy was caused by a fungal infection, and it was given the appropriate treatment to avoid total decay. Ramses the second, or Ramesses II, was the 3rd Pharoah of Egypt in the 19th dynasty of the 12th century. Also known as Ramesses the Great, this Pharoah of impressive achievement lived to be 96 years old, which means that he basically outlived most of his subjects. All of his subjects who were born with him as Pharoah, believed the world would end with his death. He assumed the throne in 1290 BCE, setting about to the restoration of war-torn Egypt. Many monuments and temples he built in his own honor, like the vast tomb complex known as the Ramesseum at Thebes, the temples at Abu Simbel, and hundreds of other buildings. That’s how great he was!